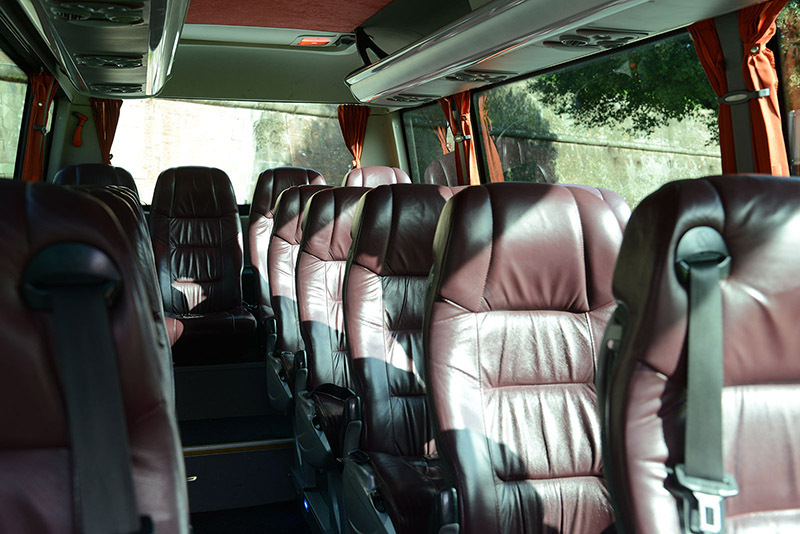 Wi-fi on board that always let you stay connected to the virtual world that surrounds you on your smartphone, iPad and tablet. 4G mobile connection guaranteed! On board, you can request fresh fruit, a snack and water with our "Luxury Box," bookable upon confirmation. Comfort and relaxation guaranteed. For greater efficiency, you can choose to pay by credit or debit card on board, through our safe and secure method. 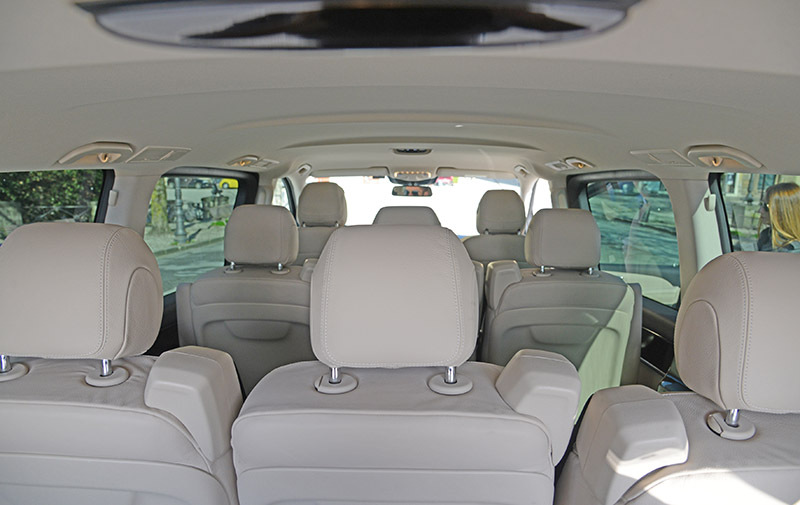 Security is guaranteed through our ample means, and we're always revising and improving each option for customized comfort. 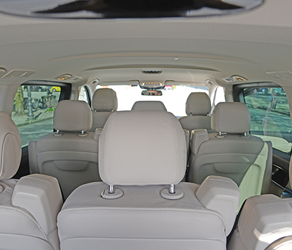 The comfort of a personal chauffeur who can take you anywhere to let you savor your trip in complete relaxation, without the stress of driving. If you hear Carrara, you will immediately associate it to marble and quarries, and that is for a good reason. In fact, the identity of this old city has always had marble in its heart: since the Roman period the "white gold" has been extracted. But this ancient city is also the home of wonderful locations, like the independence symbol Castello Malaspina, become the headquarter of the Accademia di Belle Arti. Your trip can't miss a stop to the Civic Museum of Marble, that offer a wonderful historical journey of what was the territory history, till arrive to the most innovative techniques of marble sculpture. Finally, you can’t end your visit until you enter in the Parco delle Alpi Apuane. This is a once-in-a-life experience to watch a massive boulder field that continue for over 60 kilometers, with incredible deep abysses and stunning panoramic views. With its protruding tower that tops out on the horizon, San Gimignano is one of the most iconic and recognisable destination of the entire Tuscany. Known also as the “Medieval Manhattan”, the city owes its prestige to the incredible quantity of towers that had, in the best period even 65. Today are remained only 13 towers, that anyway contribute to create a spectacular unique skyline. A visit in this location can’t only contemplate its towers, not to be missed is the Duomo, considered as one of the most prestigious of Tuscany. Recognized as a UNESCO World Heritage Site since 1990, San Gimignano offers the possibility to step back in time, enjoying its local products. In particular a must taste is its very prestigious Vernaccia di San Gimignano, a white wine produced in this hills and appreciated all over the world. Said to have been founded by Senius, son of Remus, one of the two legendary founders of Rome, Siena is known worldwide for the famous Piazza del Campo, where the Palio run two times every summer. The Campo host the Palazzo Pubblico with its tower Torre del Mangia, that can be climbed up to the top, where you will enjoy a spectacular view of the entire city. Next to Torre there is the Civic Museum that offers some of the best Sienese paintings. In Siena you can also find many traditional dishes, like the Cinta Sense, and many great wines, like the very famous Chianti or the Brunello di Montalcino. In a Tuscany tour Siena is a city that worth at least a one day stop, where you could enjoy his gastronomic traditions and visit his wonderful historic buildings, some of them dating back even to the twelfth century. Known all over the world for the political and economic power that had during the Medici dynasty, Florence has been governed by different realms, such as the Romans and the Lombardic tribe. Every sign of this past is marked in the architecture of the city, from museums to streets. Florence was also the city that houses a lot of artistic masters, like Michelangelo and Leonardo da Vinci, just to name a few. Considered the artistic and cultural center of Tuscany, the city have so many places to see, that a visit could not be complete without a stop at least in Piazzale Michelangelo, Ponte Vecchio, Uffizi Museum, the Duomo and finally in the impressive Palazzo della Signoria, historical symbol of Florence. In addition to the classic visit to the centre, the city offers also a lot of events and manifestations, that will allow you to live unique experiences. The Leaning Tower of Pisa is famous all over the world, but it is not the only thing to see in this wonderful city. Pisa is full of historical monuments and museums; when you arrive in the beautiful Piazza dei Miracoli you will find the Tower, that we recommend to enjoy both from below (with the classic picture in which you support it) and from the top, it is an incredible opportunity to enjoy an amazing view and live a once-in-a-lifetime experience. After have admired the Tower you can continue your visit to all the monuments in the Piazza, like the Cathedral and the Baptistery. Finally you can enjoy a relaxing walk along the Arno river and see the Clock Palace, before entering into Piazza dei Cavalieri, that in the Middle ages was the heart of Pisa's policy. During your visit you could try some local food, like the famous Trippa or various types of local cheese. Located to the north area of Massa Carrara, the coastal area called Cinque Terre was included in 1997 to the UNESCO World Heritage list. This wonderful area in the border region of Liguria is composed by scenic landscapes mold over time by the human hand. The zone have five small towns inside: Monterosso, Vernazza, Corniglia, Manarola and Riomaggiore. The history of this area plays an active role in promoting traditional events and products; lemons, oil and wines are the main typical gastronomic traditions and local specialities. If you love panoramic views and the nature the territory offer more than 120 kilometers of trails immersed in the nature, allowing you to discover and appreciate all the territory through different paths. A trip inside wonderful itineraries into the nature, gastronomic traditions and amazing views towards the mountain. One of the most loved cities in the Tuscany region, Lucca is a plain located at the foot of the Apuan Alps. The city is a perfect mix of ancient and modernity; the fantastic walls that surrounded the city were maintained, unlike other big cities in the region, and today are one of the main attractions. Maintained are also the ancient attraction of the city: from the trace of the Roman amphitheater, that can be seen in the Piazza dell'Anfiteatro, to the archeological remains under the 12th century church of Saints Giovanni and Reparata. The area around the walls is extremely up to date: covered of trees and green grass, has became a big park that surround the city, where you can enjoy a bike ride or a relaxing walk in the pedestrian promenade on the walls. 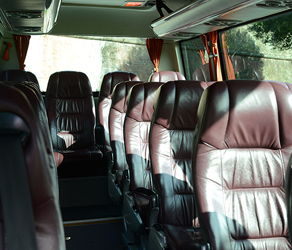 Let us take you enjoying this Tuscany excellence, full of wonderful itineraries. The small village located between Florence and Siena is commonly known for its towers, that rise above all other buildings. 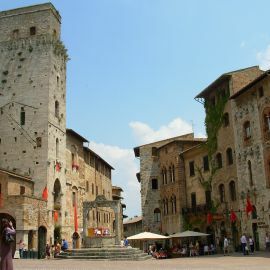 San Gimignano is also the home of wonderful location that absolutely worth a visit if you came here. We have prepared for you a guide with the best to definitely see. Universal symbol of Siena city, Piazza del Campo is the fulcrum of its center. Considered one of the most beautiful medieval squares of Europe, is known for its wonderful architecture style. The Piazza have a shape similar to a shell and is divided in nine sections paved in red brick. Pisa is obviously known for the Leaning Tower, but it is not the only one reason to visit this wonderful city. 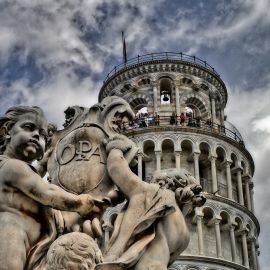 We are going to advise you the must-see places to see the best of Pisa in only a one day visit. Obviously if you can remain more days you will have other beautiful things to see. 7 villas, with a unique architecture style and furnished with fabulous gardens. Located in the Lucca territory, within a 6km range, you can choose to focus your visit on only 2 - 3 villas or visit all of them in a one day tour inside the luxury and prestige that enrich the Lucca countryside. 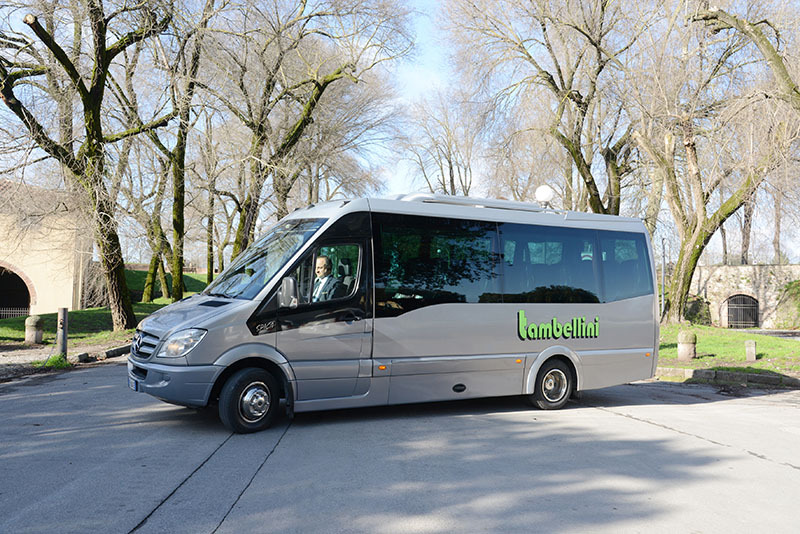 Tambellini Company deals in tours by Bus in Tuscany has a fleet of different types of minivan from 6 up to 8 seats, 16,19, 25 and 28 seat minibuses, Gran Turismo 35, 54 and 56 seat coaches and a large car fleet available. 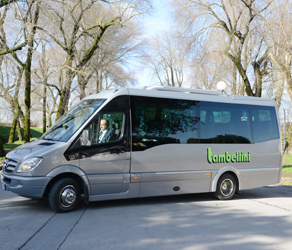 2015 © Tambellini bus Italy. Designed by Over Design.